I played with this recipe quite some time ago and posted about it but I never followed up with the recipe that I used. Someone asked about it so I baked them up today to make sure my measurements and time were all right. I think someone sent me the recipe or something close and asked if I could adapt it for the bread maker. I am going to be honest, this is not a kind of bread that I use very often so I don’t know if it is an exact replicate, you will have to be the judge. 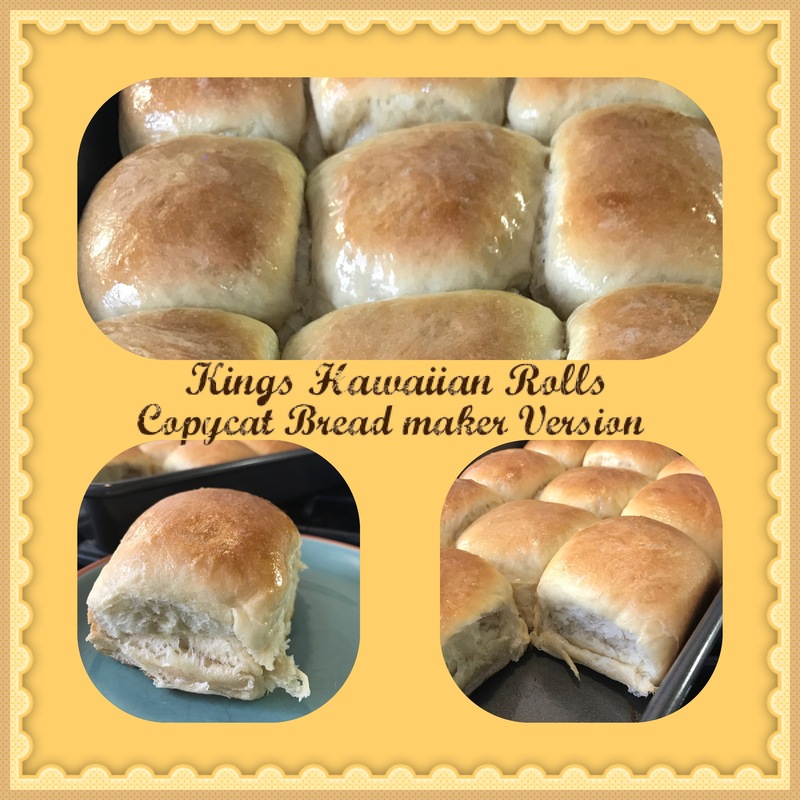 I can tell you that it makes fluffy soft rolls that have a unique sweetness to them. And they are very tasty. I let them rise for about 90 minutes but I think I could have baked them at 60 minutes, I just got distracted. This is what they should look like when they are ready to bake. If you have followed any of my bread making posts, you will know that I measure my flour in ounces. I will give you a cup measurement but that is not a consistent way to measure as it can differ by quite a bit from cup to cup. Also use bread flour for best results. Add all ingredients to the bread maker pan in the order listed. When the bread maker alerts you that it is done, remove the dough and put it on a lightly floured surface. The dough is well formed but just a little sticky, just how I like it. 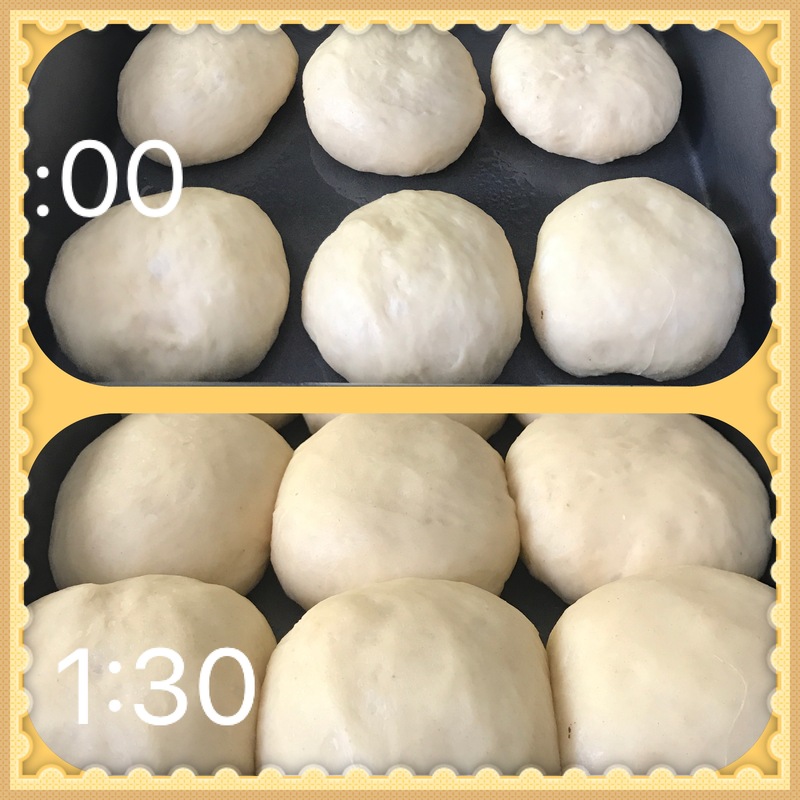 Again I use the scale and divide the dough in half by weight, and continue dividing it until you have 12 equal sized balls. Mine were in the 2.6 to 2.7 ounce size. Take each ball and form it into the nicest, smoothest ball that you can. This is a skill that will come with time, but they will taste great even if your first batch isn't as beautiful as you want it to be. Grease a 9 by 13 inch pan and place the balls evenly spaced in the pan. Cover the pan with a clean tea towel and set on top of the oven to rise for 60-90 minutes. Brush them with a little melted butter. Bake for about 25 minutes, you want them to be nicely browned and done in the middle so don't rush them. Brush them with melted butter one more time.